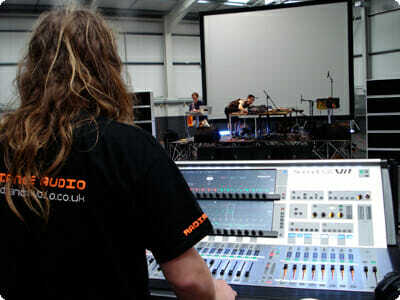 We’re a small team of friendly, hardworking and talented individuals with a background in all things audio-visual. Based near Canary Wharf, we serve the whole of London, the Home Counties and most of the UK with professional audio and visual services. We provide sound equipment, production services and crew for everything from the smallest of house parties to the largest of festivals – and everything in between! Including Film & Television, Conferences and Corporate Events. From the hire of Pioneer CDJs to cutting edge, bespoke sound systems built to order for esoteric purposes. We use trusted names like JBL, Soundcraft, Martin, L’Acoustics, RCF, Matrix Amplifcation and Void Acoustics alongside our own designs to deliver effective solutions to suit your budget; whether you require a one-off build or an ongoing supply contract. We provide a full service, from planning and inception to post-event clear out. So whether you need a single microphone or an entire festival; we are YOUR sound department!